Gather at Beehive Yard where Thomas Paine worked as a staymaker to hear some of his famous works. Actor Ian Ruskin will be portraying Thomas Paine for us on this evening before his one-man show ‘To Begin the World Over Again’ at the Corn Hall on 9 May. Sample an 18th century buffet including Diss bread. This is a free event with refreshments - donations gratefully received. For more information please contact Basil Abbott on 01379 650618 or dissmuseum@lineone.net. Introducing you to our lovely market town – not just a guided tour! 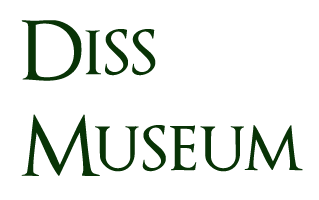 Learn about some of the old buildings, the town’s history, some of its famous people and a lot of interesting things about Diss. Remember… we put the ROLL into the STROLL for those who rely upon wheels to get around! Amongst items on display are the large weighing scales, a frightningly heavy meat cleaver, a bloodied apron, photographs and three 'frails'. Frail was the name given to the rushwork bags that Mr. Anness the butcher provided for carrying meat home. An indication of their age is shown by the printed telephone number on the bag - Diss 105. Since last November we have had A/V in the Shambles to demonstrate DVDs on sale in the shop. The facility has also been used to show the Tristram Cary Story and is currently being used to display the story of the Diss Dig. 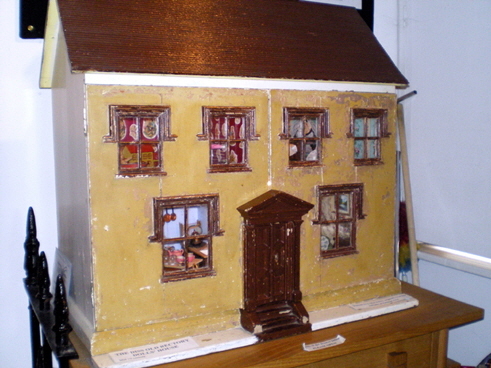 Always on display are the Manning family dolls' house and information about local personalities like Tudor poet-laureate and Diss rector, John Skelton, and Victorian photographer, Cleer Alger. Details of our temporary exhibitions for 2019. 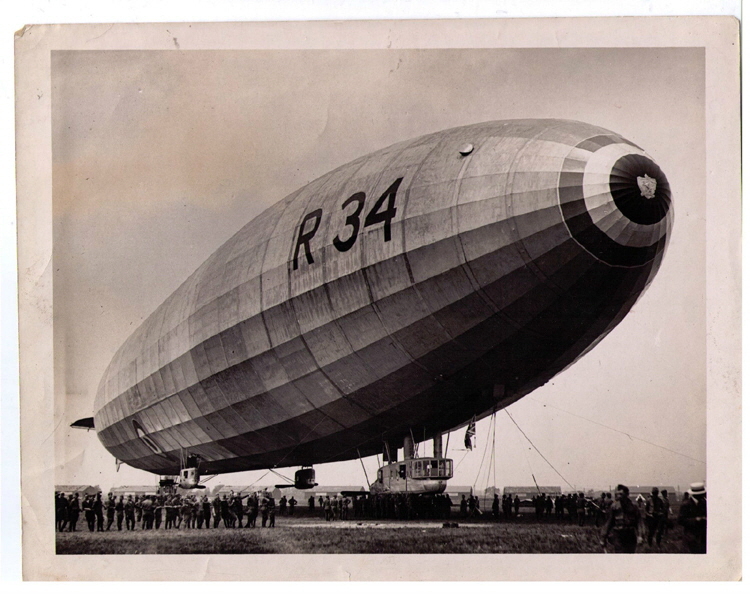 The main exhibition commemorates the R34 airship centenary. In July 1919 the dirigible flew from Scotland to Long Island and back to Pulham. Museums around the world are joining Diss in celebrating this aviation feat. Local schools, art, textile and modelling groups have contributed to the display, with interactive work by the University of Suffolk students. There will be events on the centenary weekend, 13th/14th July. Following the exhibition at Diss Corn Hall, from January 16th to February 23rd, many of the items will be on show for the rest of the season in the Museum. The 1960 Christmas Price List from Cuthbert’s wines and spirits shop in Mere Street was a new acquisition in 2108 and a display is being created of what was on offer – at original seasonal 1960 prices. Showcasing the family business along with items used and made at the factory. The first display (March to May) will show examples of hand embroidered replica scenes from the Bayeux Tapestry. This will be followed by a glimpse into a lifetime of buying from local auctions and sales – a miscellany of weird, wonderful and everyday objects. Later in the year it will host a cabinet of curiosities – mystery objects to set you thinking. There could be an opportunity for one further display – get in touch to book a slot! Please click on a link below to read more. 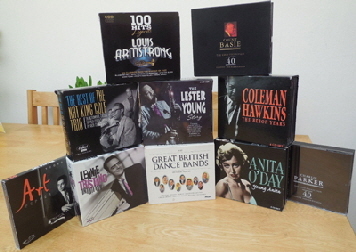 In a few weeks’ time there will be on sale a large number of donated CDs and box sets covering a wide range of jazz to coincide with the Corn Hall’s jazz evening tribute to Stan Getz with the Chris ingham Quartet on 4 April. The wide range of CDs should encourage ‘new’ entrants into the jazz world with works by Basie, Ellington, Getz, Zoot Simms, Gerry Mulligan, Tristano, Kenton, Cab Calloway, Coltrane, Dizzy, Bird, Lester, Bean, Mose Alison, Tubby Hayes, Monk and many more. A price list will be available at the museum. In conjunction with the Grand Opening of the Museum by Wing Commander Richard Youngs on March 9th, the museum is displaying for sale, a donation comprising a range of over 30 books dealing with World War II and the history leading up to it. Some of the books are quite rare, such as Failure of a Mission by Sir Neville Henderson, the ambassador to the Nazi government from 1937-1940, Lease-lend by Stettinius, the man Roosevelt appointed to run it, The war that Hitler won about Nazi propaganda before and during the war and many others, including books about The fall of France, Stalingrad, Leningrad, Midway, Stalin and his generals and the Goebbels diaries. The books are now on sale. 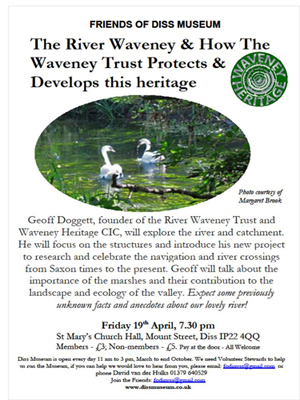 The River Waveney and how the Waveney Trust protects and develops this heritage. Derek Potter: Another shopkeeper’s tale. “Lucky Breeze”. G. H. Scott and the R34. Celebrating the R34 centenary. The Mid-Suffolk Light Railway and the small museum which keeps memories of “The Middy” alive. Edith Cavell speaks from her cell before execution by the Germans during WW1. The story of the Hoxne Hoard. Celia’s Travels. The journeys of Celia Fiennes. Was she the Fine Lady of Banbury Cross in 18th century England? A light-hearted contest of general knowledge with prizes and free mince pies. The Louie’s Lane Murder. The story as told by the author of this enthralling tale. 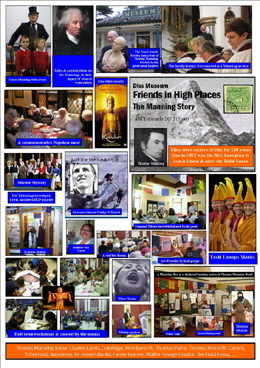 The money raised covers costs and helps finance specific museum projects.